Traditionally, teeth are polished using a rotating rubber cup and an abrasive paste. Prophy-jet polishing, however, uses an air polishing system with a combination of pressurized water and baking soda to remove more stubborn stains. This device is used to obtain the proper length of the root canal, from which the doctor can determine the position of the file relative to the apex of the root. This can help ensure that the canal is completely free of debris, reducing potential future complications. Oral cancer affects thousands of Americans yearly. We use the latest technology to detect changes in oral tissue consistencies and/or lesions. A specialized light is shined into the mouth to detect unhealthy tissue. Healthy tissue looks lighter under the light while spots of bad tissue appear dark. With early detection, cancer may be caught before it has time to spread, potentially saving lives. These ultra quiet headphones are for patient use during any dental procedure. Patients can listen to their favorite music, movie, or television show without having to hear all of the surrounding noise going on as the dental work is being performed. These monitors are found next to every patient chair. Patients can watch a movie or TV show. 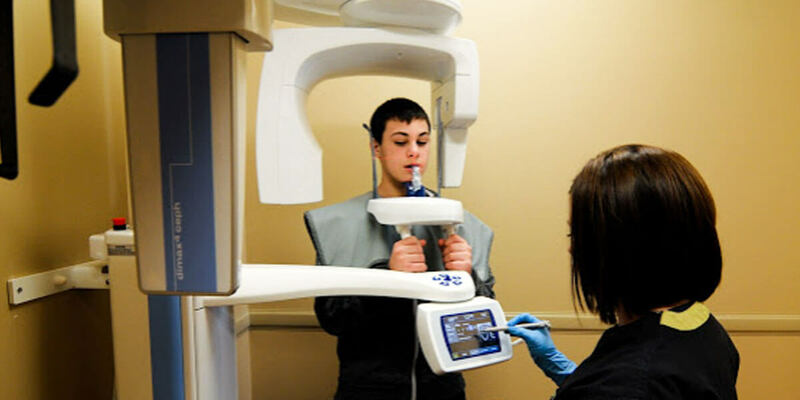 Patients can also view their dental radiographs when speaking to the doctor about the findings for a better understanding of their oral health. A variety of electronic games are available for patients to play when they visit our office for an appointment.